#72: Artist and Pop Sensation "Lights" is my amazing guest! 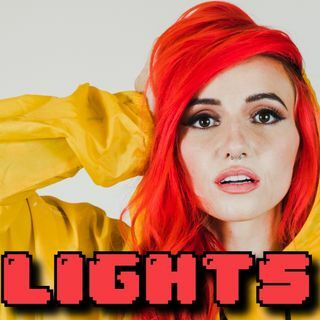 Lights is a world renowned pop singer, musician, and comic book artist. She joins me in an inspiring, insightful, and revealing conversation about her music, her comic "Skin and Earth", her life, and her passions. It is deeply motivational, encouraging, and TONS of fun.